Below is a listing of our member breeders. 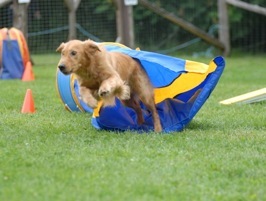 Click on any Kennel name showing as a link to be taken directly to that breeder's website. If there is a "puppy icon" next to the breeder, it means they have puppies available. Click on any "puppy icon" for details of available litters. 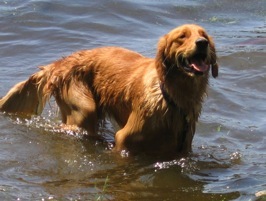 The Ottawa Valley Golden Retriever Club (OVGRC) does not endorse any particular breeder or litter that is listed on the OVGRC website. The Club stresses that this list is for the assistance of the potential puppy buyer only. 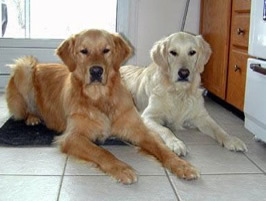 It is the responsibility of the potential puppy buyer to educate himself or herself about the Golden Retriever as a breed and find the breeder and dog that will best meet the buyer's needs. The OVGRC breeder and litter lists do not guarantee or confirm the appropriateness of the sire and dam of the puppies for breeding purposes from either a health or temperament perspective. It is the responsibility of the buyer to ensure that proper health clearances are in place with the breeder of choice. Responsible dog breeders work hard to produce healthy socialized puppies, interview potential buyers, do home checks and remain resources for buyers for the lives of those dogs. View video "What Reponsible Breeders Do"